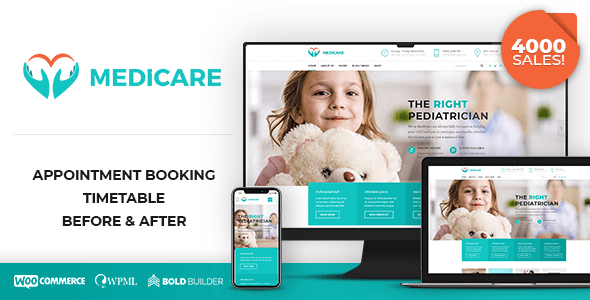 Medicare is a medical multipurpose WordPress theme built for an array of services with a number of health institutions in mind. Our 12 demos include the following: clinic, cardiology, surgery, dentist, optometrist, laboratory, general hospital, cosmetic surgery, pediatric clinic, veterinary, psychiatrist, physiatrist. 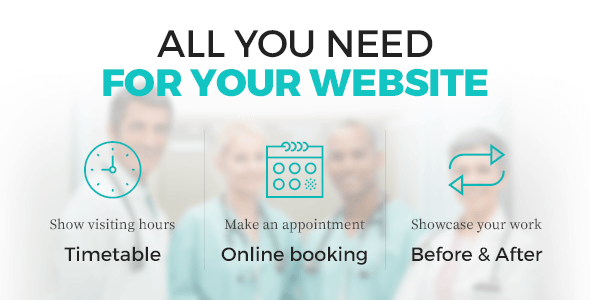 Our demos work for one doctor office and private practices with more medical specialties. All demos have been created after carefully studying the needs of actual practices, hospitals, clinics and physicians. 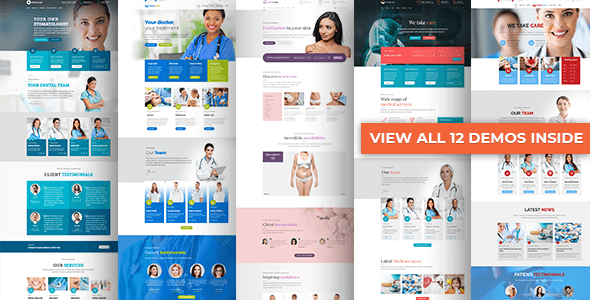 This WordPress theme is exclusively sold on Themeforest and has a high rating of 4.7 with more than 4 K sales. It has been one of the bestsellers among medical themes for some time. 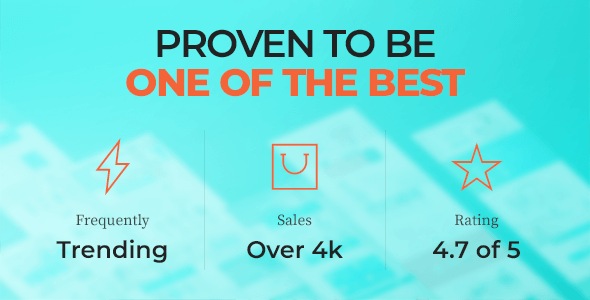 This WP theme has a clean code and it is regularly updated. It is fully responsive, retina ready and easy to customize.